Camilo Salazar joined Ashton Ross Law as a Legal Associate and is currently undertaking legal practice in four distinct areas of law – immigration, family, property and civil litigation. He also has significant interest in employment law and arbitration. Camilo obtained a Bachelor’s Degree in law from the University of Kent in 2017. Prior to joining Ashton Ross Law, he undertook volunteer work in the Latin American Community and assisted clients by helping them liaise with solicitors and other community focused organizations for assistance on a range of issues. Camilo works closely with all four partners of the firm in relation to legal, administrative and business development matters. During his time with the firm, Camilo has undertaken and completed a significant number of immigration and family law related applications. 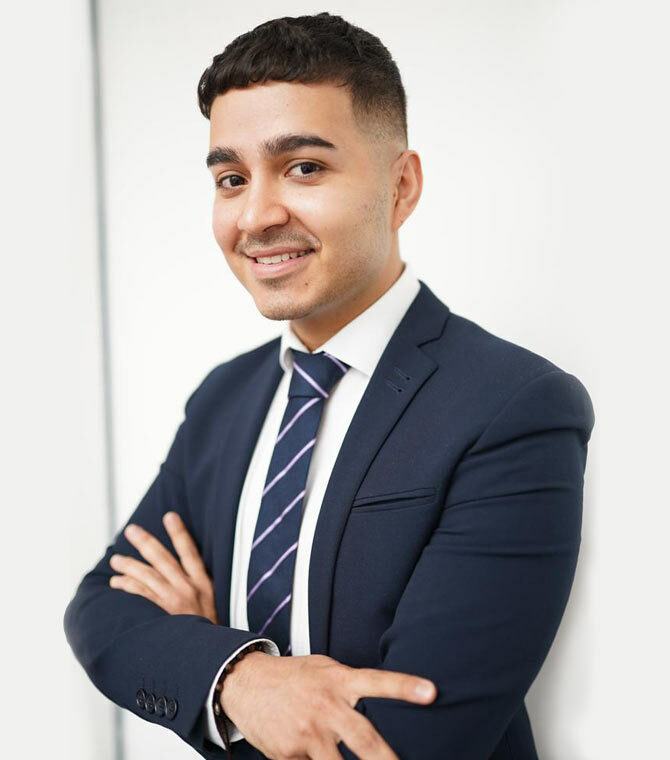 He has obtained proficient knowledge of private UK Immigration Laws and procedure with specific expertise in Human Rights and EEA applications. In addition to his practice within immigration law, Camilo also works closely with the Head of Family Department in relation to family related applications such as divorces and child contact applications. Camilo also works closely with the Managing Partner of the firm in relation to business development and awareness within the Latin American community. Camilo speaks and writes fluent English and Spanish.